Millions of motorists are taking years off the life expectancy of their car'sbattery by not regularly fully charging it, says the AA, which not only costs moneybut also risks the inconvenience of a breakdown. Every year, up to a fifth of cars on the road will require a new battery, estimatesthe AA, but many of these could have been prevented by being fully charged morefrequently. The problem stems from batteries taking longer to fully charge, while being placedunder greater demand by modern cars, which are being fitted with an ever increasingrange of power-hungry 'creature comforts'. Paul Leather, AA patrol of the year, says: "If you only make short stop-start journeys, the battery won't have the chance tofully charge, which will considerably shorten its life. 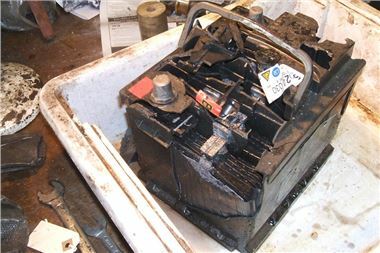 We see cases where thebattery has failed after only two to three years rather than the usual five to six,as a result of only doing short journeys. "Batteries are made to workharder than ever before as a modern car draws around three times as much electrical current than a Morris Minor. A Morris Minor in the 1970s needed around 21A, a modern mid-sizecar uses as much as 65A"
To help prevent problems, Paul says: "Regular long runs in the car could double yourbattery's life but if this isn't possible, a battery trickle charger will keep it ingood condition, extend its life and give you the reassurance that your car willstart. "There are other simple steps that drivers should habitually take to extend batterylife, particularly in cold weather. When you park up and when you start the car, make sure everything electrical is turned off and dip the clutch when starting to help take some load off the starter motor and, in turn, the battery. "However, if your car struggles to start and your battery is more than five yearsold, it's on borrowed time, so get it replaced. It's better to be done at yourconvenience than as a roadside emergency." Most common problems are caused by terminals and clamp connections or by a loss of voltage, often caused by constant use on short journeys without regular recharging. At every service, check that the terminals have been cleaned and protected fromcorrosion with a layer of petroleum jelly or grease. Clamps and connections must be secure. If you seldom make a long journey, a fortnightly overnight charge prolongs battery life. Modern 'intelligent' chargers/battery conditioners can be left connected without risk of overcharging. Modern maintenance-free batteries need no top-up. AA patrols offer a range of batteries that are fitted for no additional charge at the roadside 24/7, 365 days a year. They come with a three-year warrantyand environmental disposal cost is included. Batteries are also covered by the AA's price promise which guarantees to refund thedifference on a like-for-like basis.